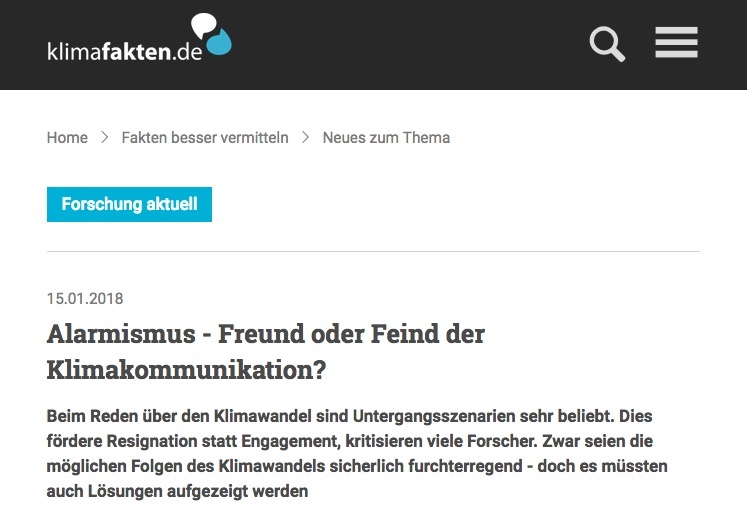 Alarmismus – Freund oder Feind der Klimakommunikation? 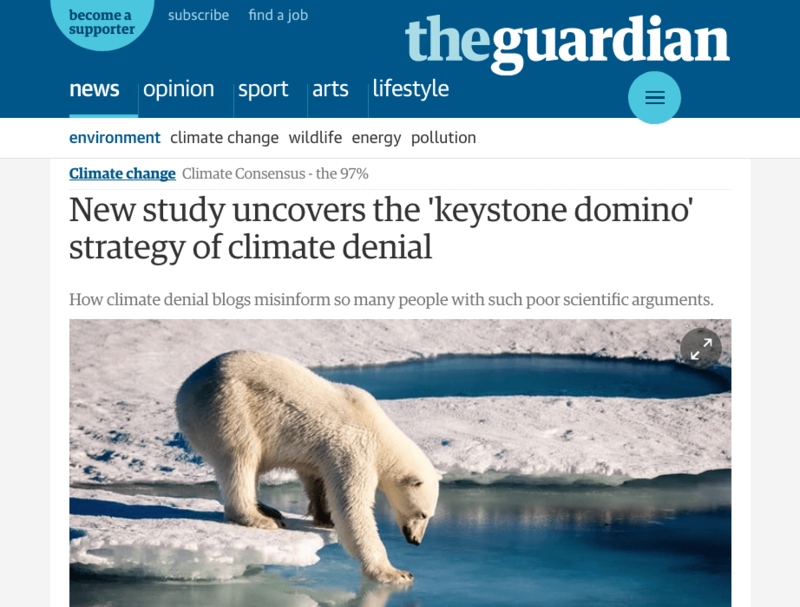 "Beim Reden über den Klimawandel sind Untergangsszenarien sehr beliebt. Dies fördere Resignation statt Engagement, kritisieren viele Forscher." 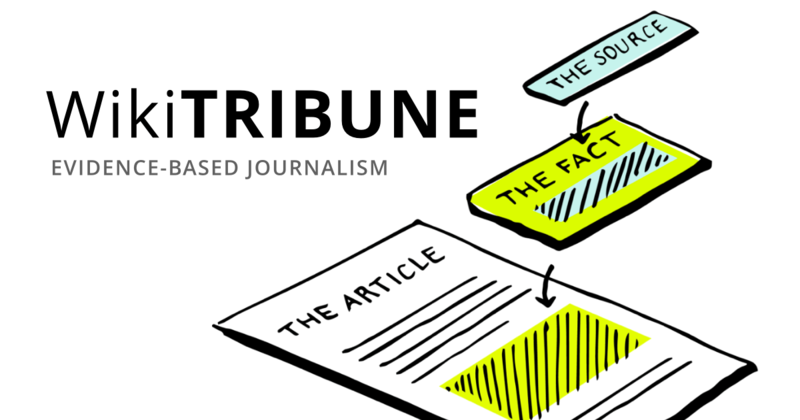 "One key idea involves the establishment of an international non-governmental organization that would create a rating system for disinformation. 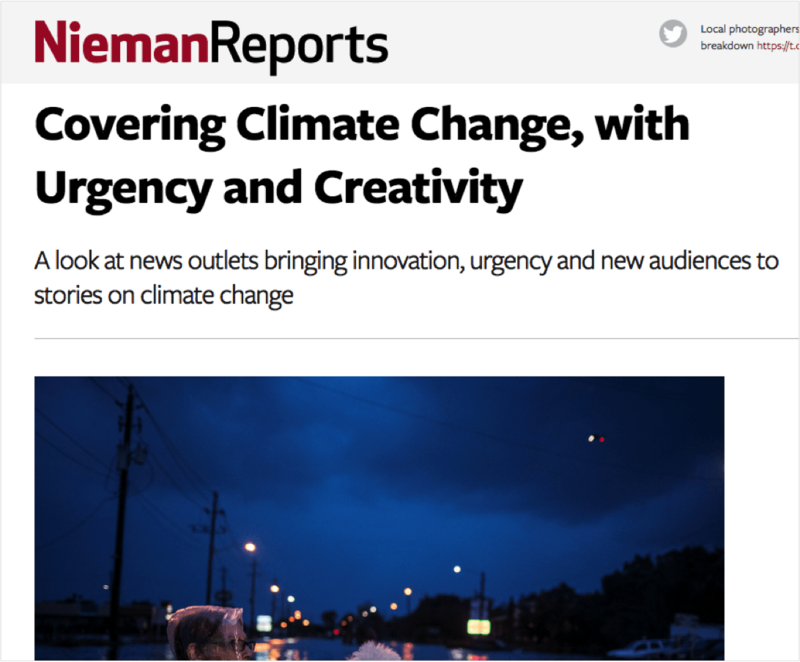 There are already some similar examples in existence – Climate Feedback consults climate scientists to rate the accuracy of media articles on climate change [...]"
"Find your fact checker by subject: Climate Change: Climate Feedback"
"Climate Feedback (which enlists climate scientists to review news articles related to climate change) is a highly respected and influential resource." 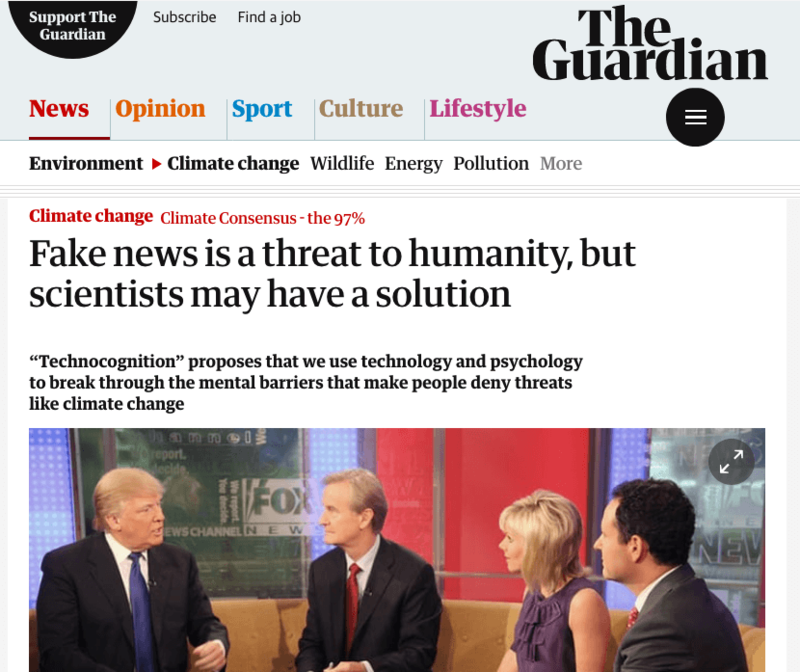 "That has made it more crucial than ever that journalists are able to separate fact from opinion, says Emmanuel Vincent, a project scientist at the University of California, Merced, who launched the website Climate Feedback three years ago as a forum for scientists to weigh in on the accuracy of media coverage. 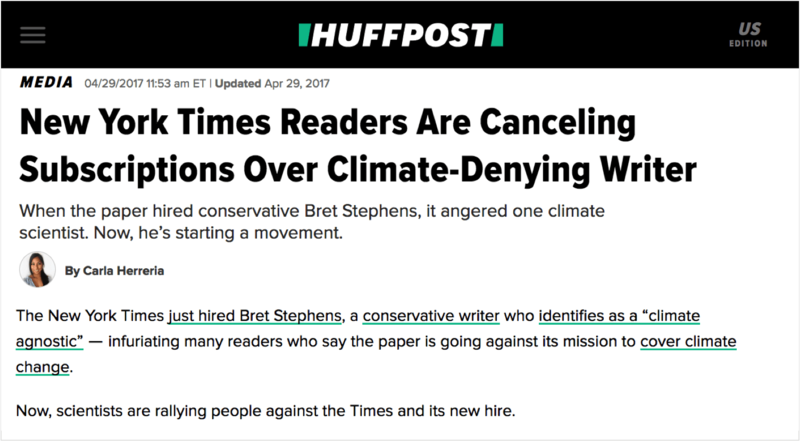 “Rick Perry said that climate change is due to the oceans, and a journalist may just let it go and say that’s his opinion, but it contradicts reality,” he says. 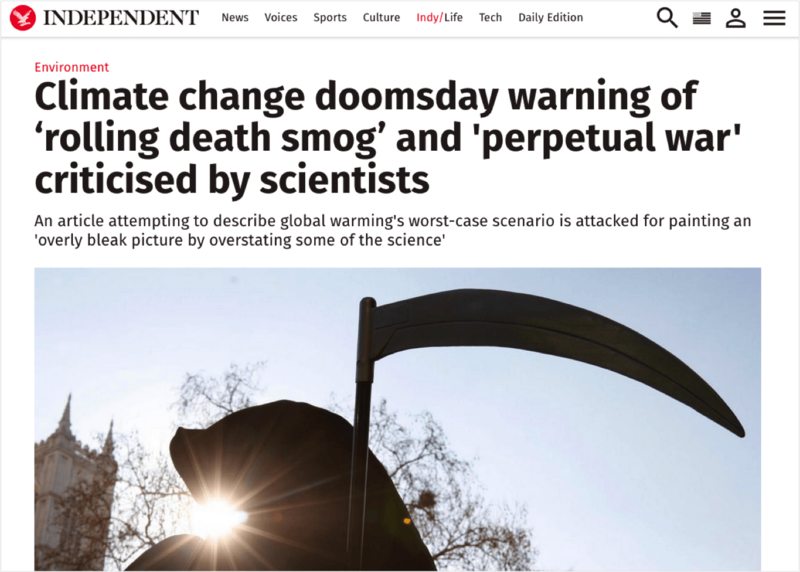 “It should be the job of the journalist to say that.”"
"Recently, a conservative think tank called the Heartland Institute sent an elaborate booklet called “Why Scientists Disagree About Global Warming” to schoolteachers all over the country. 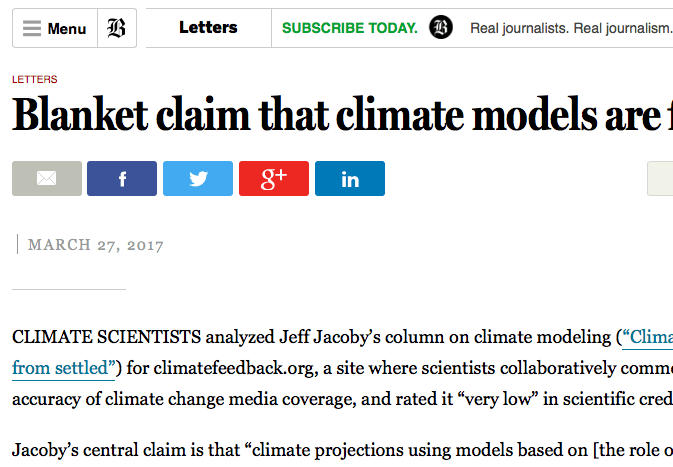 Some have worried that, since it is a piece of “unscientific propaganda” containing false claims about climate science, it will “mislead tens of thousands of students.” But the scientists at Climate Feedback, a nonpartisan institution that evaluates claims about climate science in the media, had a different perspective. 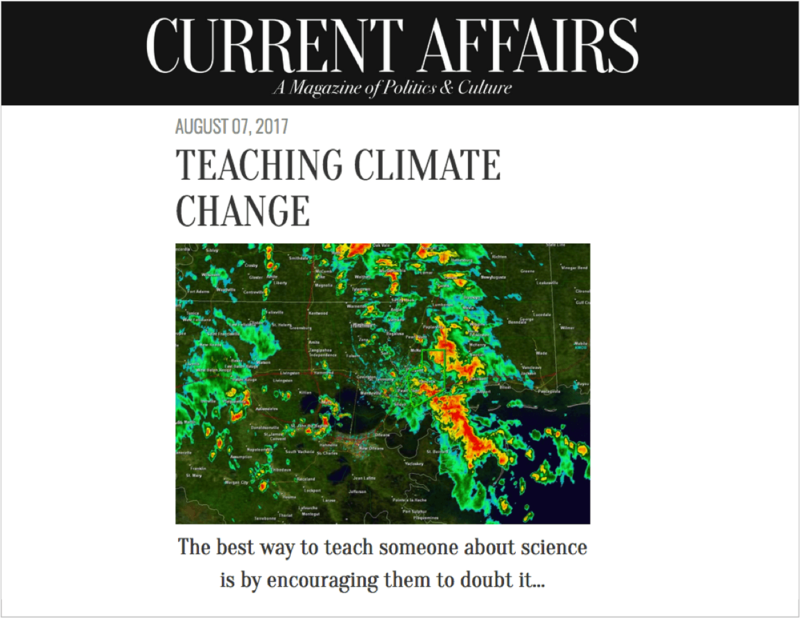 While giving the Heartland Institute’s report an “F” for accuracy, and thoroughly debunking its various claims, they didn’t simply tell teachers to throw the document away and forget it showed up. 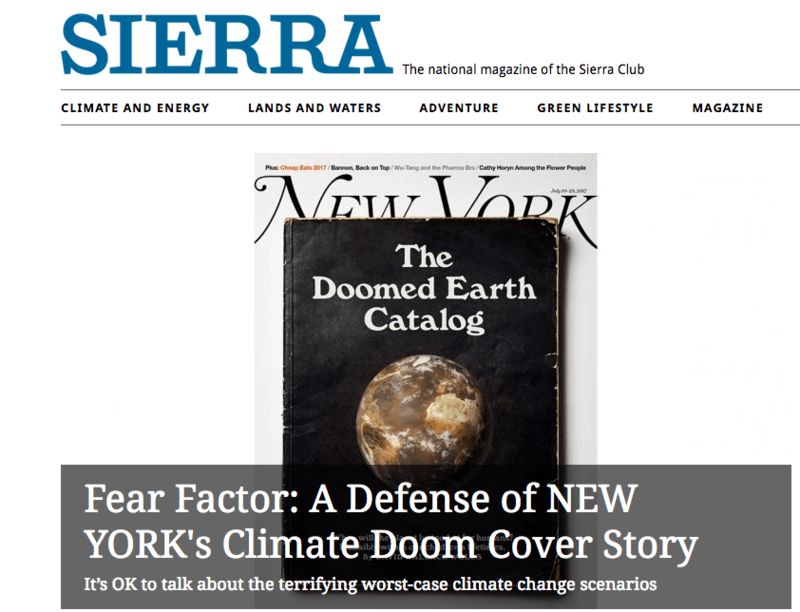 Instead, they said, “this book provides an opportunity for science teachers to teach their students about fallacious reasoning, as well as common misconceptions about climate science and the deceptive talking points that today floods their social media feeds.”"
On the Climate Feedback website, 14 scientists rated its “scientific credibility” as low with some variously suggesting the article was “alarmist”, “unclear” or “misleading”.